Discover Chin State – the region of our coffee cooperative. Chin land is situated in the Northwest of Myanmar, adjacent to the Indian states of Mizoram and Manipur and to the Chittagong Hill Tracts of Bangladesh in the West, Magwe and Sagaing divisions to the east and Arakan state to the South. The land is mostly rugged mountains with few valleys between the mountains. 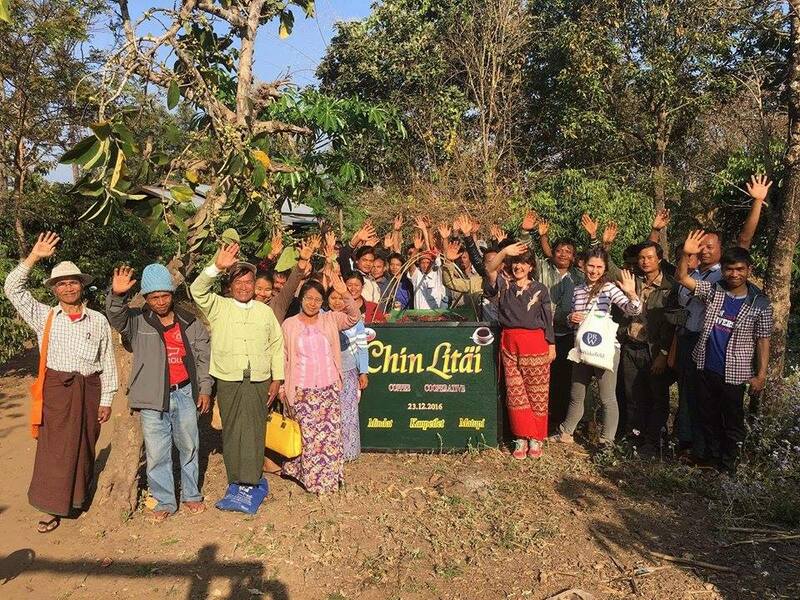 The 50 Chin Litäi coffee producers cultivate some of the finest coffee in Myanmar. The young cooperative was founded in December 2016. Most of the producers are younger than 35 years. They are committed to grow high quality coffee to mitigate deforestration. Moreover, most of the producers rely on other cash crops such as yam or avocado. With our social entreprise Prisma Coffee (London) and our trading partner DRWakefield (London) we promote Chin Litäi’s product and ensure access to the market. Thanks to a successful Crowdfunding Campain in February 2017, we were able to produce and export our first micro-lot of cooperative coffee.